Yesterday, the Connecticut Senate gave final passage to H.B. 6704, An Act Concerning Expenditures & Revenue For The Biennium Ending June 30, 2015, which includes a new method for reporting Medicaid spending, an interpretation that shifts more than $2.2 billion from the spending cap next year and about $6 billion over the biennium. The budget also hits hospitals hard, with a tax hike of about $400 million over two years. Lawmakers in the Senate are seeking to strengthen and expand the long-term care ombudsman program and boost the eldercare workforce through a bill to reauthorize the Older Americans Act of 1965. In addition to updating the law to improve long-term care arbiter access to electronic information, the bill calls for cooperation between agencies to address labor shortages impacting senior care. Healthcare spending is at the center of conflict between Democratic and Republican budget proposals in the House and Senate. While a proposal from Rep. Paul Ryan (R-WI) repeals the Patient Protection & Affordable Care Act (PPACA), including Medicaid expansion and subsidies for buying insurance through health insurance exchanges, the budget proposal from Sen. Patty Murray (D-WA) includes $275 billion in cuts to Medicare and Medicaid. As tomorrow’s sequestration deadline fast approaches, the Senate blocked a pair of competing bills to prevent the broad, automatic cuts from taking effect. Neither measure was expected to reach the 60-vote threshold required to move a fix forward the day before the cuts, which include a 2% cut to Medicare payments, are slated to kick in. Last week, the House voted in favor of a legislative package approved by the Senate in the early hours of the morning that postponed a 26.5% cut to physician pay rates mandated by the sustainable growth rate formula (SGR). But the latest efforts only freezes doctor pay rates only through the end of 2013, when the formula is set, once again, to slash rates without a legislative revision. A 2% Medicare sequester cut set for March also looms. Early this morning, the Senate overwhelmingly voted in favor of a fiscal cliff deal that would extend tax rates on annual household income under $450,000 and postpones automatic spending cuts for two months. The bill was approved in an 89-8 vote that came after only 10 minutes of formal floor debate and no official score from the Congressional Budget Office (CBO). The vote puts pressure on the House to approve the legislation, though it is uncertain if they will back a bill lacking the deep spending cuts conservatives have been calling for. 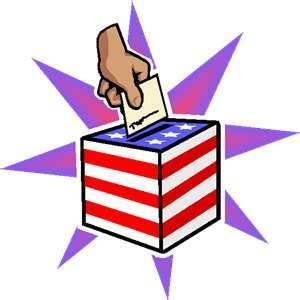 Election 2012: Get Out & Vote! After months of intense campaigning, voters across the nation will finally have their say today as they make their way to the polls to cast their ballot in the presidential, senatorial and congressional races. The right to vote is the foundation of any democracy, so no matter who you chose or what party you support, please get out and cast your ballot to exercise that right. If you encounter a problem at the polls or have an issues to report, contact the Election Day Hotline 1-866-SEEC-INFO (1-866-733-2463) or send an email to elections@ct.gov . Connecticut polling stations are open until 8p.m. tonight.